Bob: This is Abacus, I’m Bob the CPA. 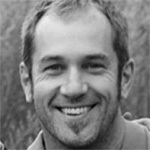 My guest today is Jeff Elliott and if you ever studied for the CPA exam, you’ve probably been to his website, another71.com. Jeff Elliott: Another71 is really the first social place that people could go and talk about the CPA exam. Bob: We’ll talk about how he kept failing the exam. Jeff Elliott: What I would do is I would come home from public accounting, my day job, come home, and the last thing that I wanted to do was study, so I wouldn’t study. Bob: And how he finally turned it around. Jeff Elliott: If you’re going to make it work, you really have to get rid of some of our inherent selfishness. Bob: All this coming up on Abacus. Let’s go. 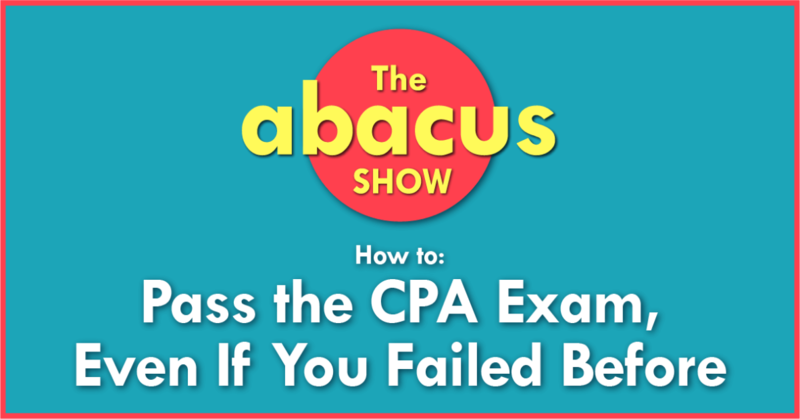 Welcome back to another episode of The Abacus Show, where I bring together the best thought leaders, teachers, and accounting professionals from all over the world to share the experience to help you become a top performer and empower you to take control of your career. Today I’m talking with Jeff Elliott. He created Another71, a top CPA review forum and the NINJA CPA Review and he has a fascinating story. After a bumpy road, he passed the exam at age 30 while working full-time and juggling family and community commitments at home. Today, we’ll cover a lot of topics, like, how to overcome failing the exam so many times; the average age of CPA exam candidates, which is a lot higher than you would think; how he balanced studying while working full-time and not neglecting his family; a few CPA exam myths he wants to bust, and what he recommends you do with your free time after you pass the exam. I think you’re really going to like this one even if you’re not studying for the exam right now. So, that’s enough for me. Let’s get into the interview with Jeff Elliott. Jeff, welcome to the show. Jeff Elliott: Hey Bob, thanks for having me on. Bob: So Jeff, today we’re going to talk a little bit about passing the CPA when you’re working full-time. I know you had kind of a rough go of it the first few times you took it and you learned some lessons and you kind of taken that to help other people. I was wondering if you could give us a little bit of background on what is Another71 and the NINJA CPA Review and then kind of maybe tell us a little bit of your story about how you ended up starting that. Jeff Elliott: Sure. See, I was a struggling CPA candidate back in 2008, which seems like ages ago. I had one morning, it was like March of 2008, give or take, and I just gotten my third 71 in a row on BEC, I believe. So, I did what any normal person would do, started a blog about failing the CPA exam and I named it Another71. At the time, I had no aspirations for it to be a business or even really anything that anyone would care to read. Going back, if I had planned on making it a business, it would’ve been, like, Pass the CPA Exam, Study Hacks, CPA Review, dot com, and make it real keyword rich, but I wasn’t even thinking about that at the time. So, keep in mind, this is back like pre-Facebook, pre-Twitter, pre-social media, and the people weren’t social at all, wouldn’t even have, like, camera phones or at least most of us didn’t. And so, Another71 is really the first, like, social place that people could go and talk about the CPA exam. So at the time, it was just this kind of ghetto-looking blog where I would have a blog post and some of the blog posts have, like, 3,000 comment and so, it was kind of a de facto forum. So in 2009, I think I added the forum and that blew up and took off. And 2010, I quit my day job and I was able to do Another71 full-time. And I believe 2012, 2011, 2012, I started offering my own CPA review product under the name NINJA CPA Review. Bob: For those of you who don’t know about Jeff’s CPA exam prep, he tells it like this. Jeff Elliott: NINJA was kind of an accident, in that NINJA was just a study acronym that I came up with. It’s just a different way of studying. Bob: Basically, the NINJA system goes like this. The N and the I are nail the concepts and take intense notes. Jeff recommends you read through the entire book, watch all the videos, and take notes on everything before you do any study questions. Number two is take non-stop multiple choice questions and just answer them all. Go through the entire book, every section, and choose many questions as you can. The J stands for just rewrite your notes. Rewriting your notes again, especially if you can take little acronyms or personalized notes, is going to help you remember the concepts better. Finally, the final A is it all comes together. This is your final review in the last couple weeks before the exam where you rewatch the videos, study your notes, and plow through even more multiple choice questions starting with your weakest topics first. Jeff Elliott: The reason why I say to get the book and the videos out of the way first is because the way that the review courses teach it is very inefficient because they teach to watch the first chapter over whatever topic and then work those questions over that chapter. And then chapter two, and then repeat. But, like, eight weeks, seven or eight weeks into your FAR study, you don’t remember what you did in week one, so you have to go back and redo those questions anyway. And so, you might as well just do them one time. And so, it’s a more efficient and I think a more effective way of study. Bob: So, going back to when you actually were taking the exam. It looks like just reading your story online that you failed a number of times and you obviously said you failed BEC with a 71 at least three times and that’s where the name came from. What kind of just made it click for you that finally helps you kind of push it over the edge of actually being able to pass the exam? Jeff Elliott: Well, my problem was it was a lack of a real work ethic and so, what I would do is I would come home from public accounting and, you know, my day job, come home, and I had a small family and the last thing that I wanted to do was study, so I wouldn’t study and instead I would play Madden on PS2. And then a week before my exam, I try to cram and then go in and fail it. Jeff Elliott: Yeah, oh yeah. Oh, yeah. There were a couple of topics in Regulation that I hated. They’re AMT, Like-Kind Exchanges, and 1231 and 1245 and 1250 Assets, and I’m like, “You know what? I think can I pass it out studying that crap because it’s just extremely boring.” I was wrong. And so, it cost me. So I scored 74 and I lost my FAR credit. And so then, I’m like, “Okay. I guess I do need to study those,” until I studied them and then restudied everything else then scored a 92. And then went back in and passed FAR again. Bob: I’m not going to lie. If I had gotten the back-to-back 74s and then lost my FAR credit, I might have just given up right there. So I guess what can we tell people whoever may be a few years long in their career, they haven’t taken the exam yet or they haven’t finished it and they’re kind of probably at this point wondering, “Is it even worth doing?” Would you say it was worth it for you? Jeff Elliott: Yeah, absolutely, because- I get a ton of emails and usually it really pours in after score release time and what I tell people is, “A year from now when you passed, this momentary failure is going to be just a distant memory.” Once you pass the CPA exam, whatever it took getting up to that point, it doesn’t matter. 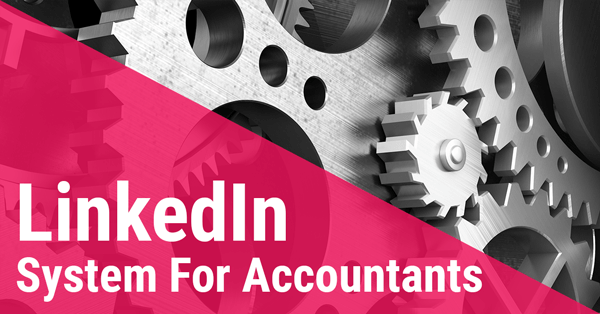 They don’t put an asterisk next to your CPA certificate or your permit to practice or anything like that and most employers won’t ask you about your scores. And so, it doesn’t matter. So, the only mistake that you can make is quitting. There’s a lady in my forum who I think took 30 exam sections and she had quit after number 20, which most people probably would, she wouldn’t be a CPA, and there are certainly people out there who probably stop at the notion of someone taking an exam 30 times or whatever, but the CPA exam doesn’t have anything to do with how smart you are or really how much you know about accounting because most people in their jobs work in a specific area. So, just because someone who works all day every day in tax, just because it takes some 20 times to pass auditing has nothing to do with how good they are as far as they tax plan or tax prepare. The average age of a CPA candidate is like 29 or 30 anyway, and I think that’s mostly because of the 150-hour rule. So people graduate from college and they don’t want to go back to grad school or start a master’s degree to get that extra 15 or 20 hours or whatever, so they start working and then they start going at night classes in order to get 150 hours. And so, hey, if you’re in your early 30s or even 40s or 50s, I mean, I get people that- I spoke to a gentleman the other day on the phone who called me and he was in his 60s, and passing the CPA exam was just something that he always wanted to do and it was just something that was gnawing at him, like he had never done it and he was just going to do it. So, anyone can pick up the CPA review materials at any time and start studying and pass, like, there isn’t this progression of having to go back in scratch and relearning debits and credits and all that. You just need to jump in and just take the exam. Bob: That’s really interesting. I had no idea that the average age was so high. I kind of just assumed it was a- maybe this is just me projecting my life experience of just go to college, get your 150, and then take the exam right out of school. Jeff Elliott: Yeah, I think that was a NASBA statistic, so the average age is, like, 29 or so. So you mentioned earlier the ELL thing, starting early before work, studying on lunch and studying in the evening. 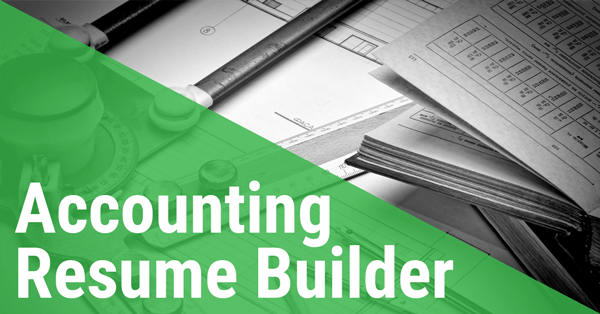 Is there anything else you recommend for people who are working full time or have families to kind of help them prioritize or make room in their life for studying for the CPA exam? Jeff Elliott: Yeah. So, you have to meet what I would call a time budget, similar to your family’s financial budget, and you only have so many hours in a day. And so, if you were going to study, well that is time away from your family and time away from other obligations. And so, if you are going to study, then you need to give up what I would call your me time. Every minute that you spend on social media and doing whatever goof off hobbies that you might have is a minute that you’re taking away from your friends and loved ones. And so, oftentimes, it’s the families and the friends and loved ones that end up getting the short end of the stick because you’re not gonna give up on your CPA exam studying, that set in stone, that’s not negotiable, and so, people end up stealing from their family time just by…time because the CPA exam is really hard and mentally taxing and you don’t really want to do it anyway, so it’s much easier to binge a lot of season of Netflix or something instead of studying. But for a short period of time, you have to give up your me-time so that you can study. So, if you’re not with your friends, family, and loved ones, and if you’re not working, and if you’re not doing other non-negotiable obligations, then you need to be studying. And so, it’s really an exercise and not being selfish. And people who their family life struggle because I’ve spoken on the phone and I’ve gotten a lot of emails, I mean, I’ve been doing Another71 from eight years. I guess more than eight years now. And so I’ve gotten a lot of email from people who people separated during their marriage or people separated during the exam or they flat out got a divorce and it’s just because people can’t be- they can’t forgo their own hobbies and just their me time and so, their spouse suffers and their spouse feels alone and they’re sick and tired of their spouse being away at a coffee shop all the time or locked away in the bedroom and they can’t help with the kids and they can’t help with the kids down at bedtime and they’re never around at sixth meal or let alone, eat meals, and so they’re tired of it. So, if you’re gonna make it work, you really have to get rid of some of our inherent selfishness. Bob: And if you could correct just one myth that you hear a lot or maybe a common question you get about the CPA exam, what would that be? Jeff Elliott: Well, there’s a lot of myths out there. One of the myths that I don’t think will ever, I mean, will always stand the test of time is whether or not the CPA exam is graded on curve. No one really quite understand what all the psychometrics and all that stuff means. And so that myth has been around forever and it will last forever, I’m sure, because even when the AICPA came out and walked through everyone point for point about how it’s not curved, people will always tend to believe that they only pass a certain number of people, which is why- I mean, you never see, like, 90% of the people taking auditing in a window passing it. It’s always, like, within a range of 46% to 52% or something like that, give or take. And so, which lend itself to conspiracy theories. So, is the CPA exam curved? That’s a myth. I think a myth that people tend to believe is that the name brand review courses in the industry or the most popular ones or the most expensive ones are the best ones and, you know, the absolute best. And the absolute best course out there is the one that specifically caters to the need of each person’s individual learning style preference because CPA review courses, they’ve almost become commoditized because everyone has a book, everyone has AICPA license content, everyone has software. And so, what’s the difference between the course is its deliverability differences, instructor mannerism. Some are very docile, some are very energetic. Some courses that are very expensive. Some courses are not. Some courses give you free updates until you pass. Some courses have an expiration window. And the myth is that because XYZ course came to my college and danced around the room and gave everyone free pizza and the instructors all recommend it, but that’s the best point and that’s just not true. The best course for anyone is the one that matches their learning style, budget, delivery preference, instructor mannerism, et cetera, et cetera. Bob: I recently read an article where you were interviewed and I think it was on CPAexcel, I’ll try to get a link to that and throw it up in the show notes for this episode, where you talk about how you passed the exam and all of a sudden, you had a ton of free time and that you were trying to use that time to kind of keep pushing yourself forward and learn and grow. Is that still something you recommend for people after they passed the exam? Jeff Elliott: It is because your brain becomes addicted to being fed constantly. And so it’s like going from just eating a constant study diet of, like, steak and protein and all this to just like going and eating salad or something, or even worse, feeding your brain with social media crap, going on a sugar diet or something. And so, when you’re in learning mode and then you shift out of learning mode, you almost go through withdrawals and something that I experienced and something that I’ve seen other people experience in the forum is this weird phenomenon where you almost miss the exam. I mean, not really, but you miss the structure, the process, your daily routine, but there’s no goal that you’re going after. So, pass the CPA exam and now, you’re not trying to obtain any other type of licensing or certificate, like the CMA or something like that. And so, you don’t really know what to do. And so, I recommend that people start becoming readers of business books. I try to mix it up between fiction and a lot of non-fiction and business books. So I am not disciplined enough to sit down and read a book, but I have become an audio learner, so I have an audible.com account and I have listened to, I don’t know if it’s hundreds, but I’ve listened to a lot of just business books and books on strategy and negotiating and just stuff that just makes you a more informed person because if you really want to differentiate yourself in the marketplace, just be more informed because most people right now go home from work and are playing Pokemon GO or one would actually gravitate to checking Facebook updates and sport scores and fill in the blank to whatever your particular preference is for goofing off. If you can fill that time with actually making yourself more knowledgeable, get a better perspectives about business, and I think that is a real opportunity that’s out there for people who have passed and are looking for something that kind of fill their brain. So, audio books and podcasts. Bob: I love that. I’ve been doing the same thing and it’s especially great if you have a long commute. It’s a really good way to make it fly by if you’re listening to a book you’re really getting into and you really enjoy. Are there any books that you’ve maybe read in the last six to 12 months that you would recommend people start with? Jeff Elliott: The most recent book that I read which kind of blew my mind was- it’s a book called Pitch Anything. It’s a book that’s about in any social situation or any work situation or any situation where you’re trying to convince someone of something, within the conversation, there are competing frames. And so, you were planning to convince them to see things your way and they are trying to convince you to see things their way, but there’s different frames that people use, like, there’s the power frame, there’s the time frame. So, let’s say that you are trying to negotiate something or you’re a salesman and you’re trying to get into meet someone and you call them up and they say, “Hey, yeah, there’s a problem. I have 10 minutes.” Well, they are putting you in a time frame. They are subordinating your position. In the phone call, they have the upper hand because they just chained you with some rules and stipulations that you now must follow. And so, it puts the ball back into your court and in the social scenario where there’s a lot at stake, like in a presentation or a pitch or something like that, it’s just different ways to counter these obstacles that the opposition will put in front of you. The book was fascinating because this guy used to make venture capital pitches for all sorts of things, and he was kind of a one-man-shop. So the book is Pitch Anything and I think everyone should read it. Bob: I agree. I’m actually halfway through that. It’s funny you mentioned that. It’s one of the ones I’ve been reading kind of off and on for the last two month. Bob: And it’s also a book I kind of resisted for a long time just- I think the accounting brain in me is like, “You know what? I don’t need to learn sales stuff,” but you start kind of picking up, like, “Oh, I could actually use this to get PBCs back from the client more quickly,” just kind of putting them in this frame, that type of thing, and it’s one of those skills that you can use in a lot more places than just out selling stuff and it’s especially important in your accounting career, so that’s a great recommendation. Bob: Tell us where people can learn more about NINJA CPA and Another71 or connect with you online or kind of just, what do you usually tell people to come find you? Jeff Elliott: Probably the easiest place to find me is just in the Another71 forum. So, if you just go to another71.com and then you’ll see links at the forum. I don’t check how many active users there are right now, but the oldest thread on page one is normally, like, one-day old. So, it’s very active. If you have a question about the CPA exam or just need some study help or career help or whatever, it’s gotten to the point where I don’t even really have to answer questions anymore because people just- the community chips in and just helps people out. So, that’s a great way to get to kind of jump into the community and it’s obviously free and all that. And then I also have a bunch of free study material, so you’ll see on the site. You can just enter your email address and go get all the demos of all of the NINJA materials and I think just studying the demos themselves could add a couple points to your score, just of all the stuff that’s included in there. Then as of the CPA Exam Survival Guide which is my best-selling free book and you can download that for free. And that’s basically everything that I’ve laid all of my best advice, I think. It’s all packaged there in the CPA Exam Survival Guide. Bob: That’s awesome. So we’ll include some links for that in the show notes also. Everybody can head over there and get some free CPA exam study materials and also just get some help and advice from other people who’ve been through it and kind of understand what you’re going through. So I guess that wraps us up for today. Jeff, thank you so much for coming on the show, I really appreciate it. Jeff Elliott: My pleasure, Bob. Thanks for having me. You’ve been cool. Bob: As always, thanks for listening. If you like this episode, go ahead, tell your friends because the greatest compliment you can give me is a referral, either in person or share it on the web. The average age of CPA exam candidates (it’s higher than you think). How to balance studying while working full time and not neglecting your family. Which CPA exam prep course is right for me? What should you do with your free time after you pass the exam? Jeff knows how hard it can be to fail the CPA exam. After three-straight 71’s on BEC (and losing his FAR credit) Jeff finally figured out a study system that helped him pass. 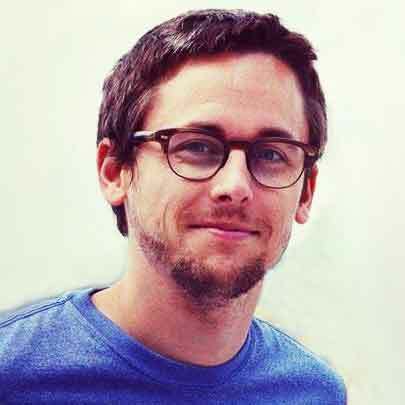 He started Another71.com to share his experience and help others pass the exam. Today it’s one of the biggest CPA review forums in the world, and he’s created NINJA CPA review to share his study system with CPA candidates.